With so much to see underwater at our Mediterranean dive sites, it’s no wonder that you’ll want to make the most of your stay. So, to maximize your time beneath the waves, you should learn how to plan and carry out a multilevel dive. In the PADI Multilevel Diver Specialty course, you learn how to plan dives that extend your bottom time by crediting you for slower nitrogen absorption when you ascend to a shallower depth. That’s the way you really dive, after all. You’ll learn to use eRDPML version of the RDP for planning multilevel dives, making it a great companion for your dive computer (as well as a way to make multilevel dives if you forget to bring your computer). 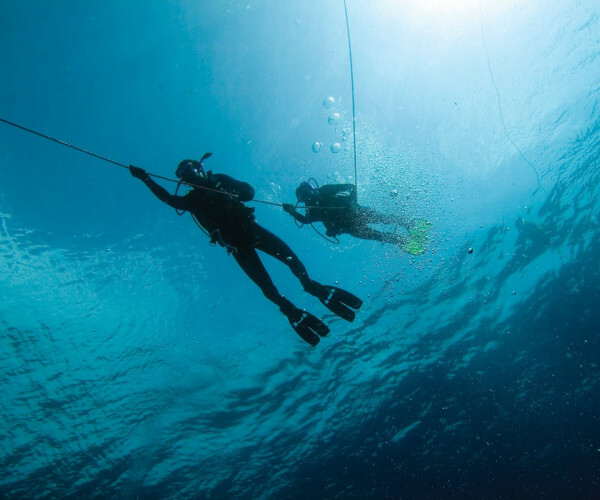 The definition and advantages of multilevel diving. Planning and executing multilevel dives (different depths on the same dive). Backing up your dive computer and planning multi-level dives with eRDPML. How to maximise your no stop time. Review of decompression sickness theory. Review of emergency decompression procedures. Care and maintenance of dive computers. Must be a PADI Open Water Diver or Junior Open Water Diver (or have a qualifying certification from another training organisation) and 12 years old.